Updated Tuesday January 2, 2018 by Joseph Matusovich. With the new season around the corner please take note of the New USA BAT STANDARD for 2018. NOTICE: ALL BATS USED LAST YEAR AND PREVIOUS YEARS WILL BE OUTLAWED AND BANNED AND CANNOT BE USED. 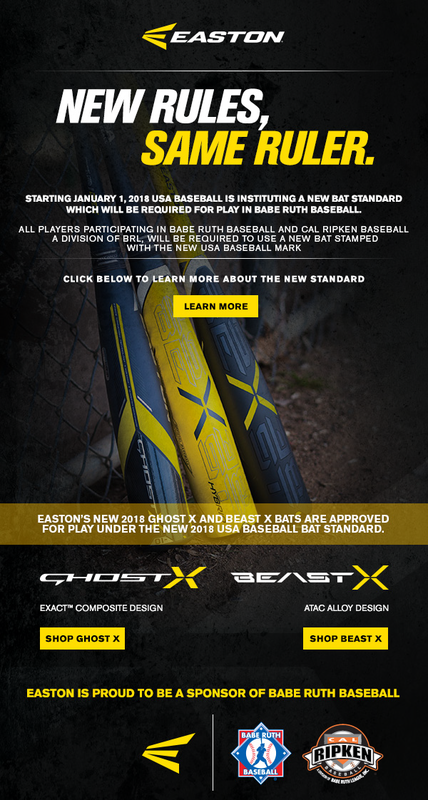 This new bat standard effects the entire baseball industry and all leagues. 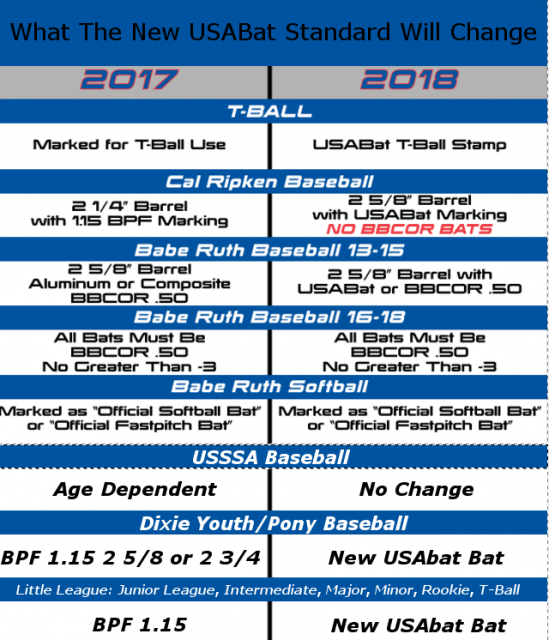 The bat needs to be stamped with USA Bat stamp and can have barrel diameter up to 2 5/8"
Copyright © 2017 Babe Ruth League, Inc., All rights reserved.